Illuminate your home the old-fashioned way with this bronze finish industrial accent lamp cloaked in a seeded glass shade. A perfect addition to your rustic living space! This accent lamp features a rich bronze finish base, and a seeded glass round shade. The included Edison bulb gives this eye-catching piece character with an industrial feel. Overall: 12" high. Round base is 5 3/4" wide. Weighs 3.3 lbs. Includes one 4 watt LED Edison Amber Bulb. Equivalent to a 60 watt incandescent bulb. From the 360 Lighting collection of farmhouse accent lamps. Bronze finish base. Metal construction. Unique. Need a little accent light for guest bedroom. Good size for placement and goes with decor. I like the size and transitional style. Because I had limited space but needed some light. Its a very distinctive lamp. Will make a statement in my decor. It matches a lamp I recently purchased from Lamps Plus - however, I wish the glass was amber rather than clear. Carrying the industrial look through to my bedroom - perfect match up! So the LED Flame Light bulb I purchased will show up. My taste in furniture is eclectic and transitional. 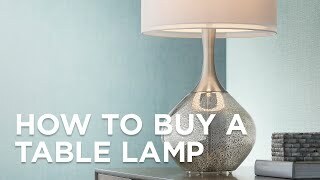 This is a beautiful simple lamp that I know will fit perfectly in my house decor. I was looking for a small lamp for a small side table next to my couch. This looks like it will be just the perfect size and give enough light for reading. Very unic, simple and clean. BEST ANSWER: The lamps is powered by a chord. What is the power source? I’m looking for battery lamps. BEST ANSWER: This is not battery operated. Is the included LED bulb dimmable? BEST ANSWER: Hi - Yes, the included LED bulb is dimmable. BEST ANSWER: Hi - The glass width is approximately 5" wide. what are the actual dimensions of the glass shade (inside & outside diameters & height) if I wanted to replace it? BEST ANSWER: This glass shade was designed only specifically for this lamp with custom bottom holes drilled through the glass to hold it in place. There are no other glass replacements like it that are designed to fit. 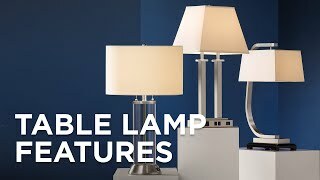 Are there any lamps similar to this that have a frosted glass shade? Since it is an accent lamp, would prefer indirect light rather than something glaring at eye level. Trying to find something to match my wall sconces. BEST ANSWER: This does not have a frosted glass option. But, you may want to try Style #16F99 which includes a frosted glass shade. I want it for Lifx A19 led bulb.Is it E26 Edison Screw? BEST ANSWER: Hi there. Yes it is a basic E26 bulb. I actually don't love it as it's just too bright /glaring I feel . If it is going to be in the distance, or you simply want brightness, you may like it. 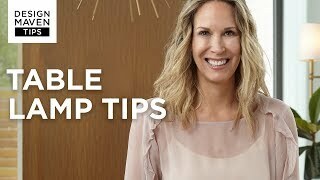 Can I use a lower wattage bulb? Like a 25 watt? BEST ANSWER: Absolutely, a lower wattage bulb can be used. If you would still like to use a 25 watt Edison style bulb, you can find some options attached below. What is the highest wattage that can be used? BEST ANSWER: The socket is rated for a maximum 60 watt bulb. If you want more output, you can use an LED bulb as well. 60 watts is the max. It is quite bright, but has no dimmer. How does this light turn on,and if it is a switch on cord, how far away is it from fixture ? BEST ANSWER: This light has a switch on the cord about a foot down from the base. It does have a switch on the cord but I use the light switch to turn it on. Sorry I can't be of more help. It's a beautiful lamp though. BEST ANSWER: No, it is 110v plug in. Is the glass shade shade available? BEST ANSWER: Unfortunately, we do not offer a replacement glass for this table lamp. This lamp perfectly suites the need of a compact lamp that actually provides enough light for bedside reading. Any fan of the old Edison bulbs, will like the simple design of the lamp that showcases the bulb nicely. This was our first purchase from the site, and it was timely and very well packed, considering how delicate the glass is. Very encouraging as there are all kinds of goodies I look forward to from here! Got these items in very good timing. Received when they told me I would receive. Cons: Glass is too thin. Needed a little extra light in bedroom. Placed this lamp on top of my dresser. This accent lamp is exactly what I was looking for and adds the right amount of light for my space. It is stylish and compact; adding just enough light to the room. Excellent accent lamp. Heavy duty construction, very well made. Purchased for use with LED natural fire-light bulb, which works perfectly in LR as TV lamp. Item was shipped securely wrapped and with all parts intact. Good price. Will check "open box" next time. Very satisfied with purchase, store and service. 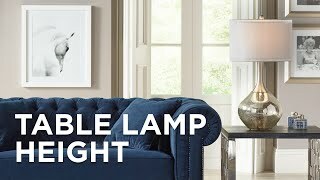 Highly recommend lampsplus.com. 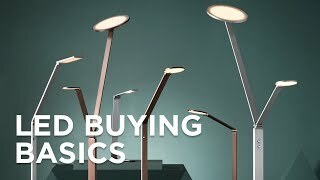 The materials are of good quality - I love the seeded glass.Its a sturdy lamp and i am surprised at its reasonable price. It came with a vintage bulb which is a nice extra and is unusual these days. It was easy to assemble but it is important to ensure that all the holes line up - it took me two attempts. Nice but the on off switch is not on the actual lamp it's down on the cord a put donut makes it a pain to turn on and off if you want to just have the lamp on a desk and the cord tucked away. The lamp is beautiful and I love the look... but I have to keep remembering to avert my eyes whenever it is turned on. I love the style but it turns out that the glass lamp shade is not so practical. Love the Edison look and the lamps are so darling but the light from all styles is just too glaring.